In Alabama and other places in the South, white barbecue sauce is popular. It’s a mayonnaise based barbecue sauce and very rich. It’s also sinfully tasty. 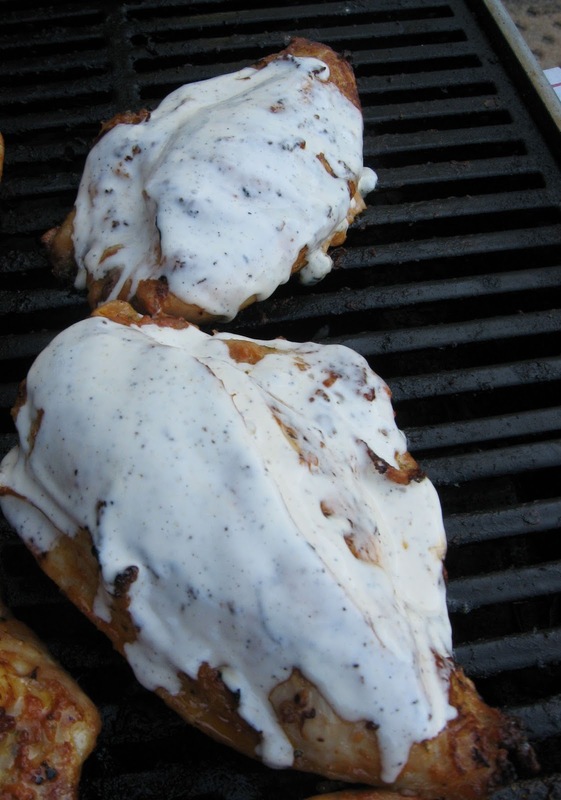 White barbecue sauce is a great change of pace for a grilled chicken party. It does look and taste different which is part of why it’s fun. If you’re used to tomato based barbecue sauces, then this may catch you by surprise. It did when I first tried it. White BBQ sauce looked odd, but I was sold after just one bite. It’s now one of my all-time favorite barbeque sauces. And, it’s great as a dip as well. *Note - You can add a splash of hot sauce or pepper seeds and other ingredients to give the white barbecue sauce more zip. Simply mix the sauce ingredients together and chill. Very simple! Don’t use white barbecue sauce as a marinade. It’s too rich and thick. If you slather this on before the meat goes on the grill, the sauce will burn. Cook the chicken about ¾ done on the grill and then begin basting with the white barbecue sauce. White barbecue sauce is also excellent as a dip with the cooked chicken. Do not use the same white barbecue batch that you used for basting. That can be contaminated. If you want baste and dip, make a double batch and reserve half in a separate container for dipping.